Manage reviews, reputation, and improve your business reputation with Vail Networks’ help. We will help you improve your online reputation by monitoring, managing and maintaining your online listings and social media reviews. The UnVailed™ Reputation Management Program for Businesses. Take control of your online reviews, before it’s too late. Vail Networks’ reputation management boost program provides the opportunity for your business to get a fresh start. Our online reputation management services help business and companies monitor, analyze, and respond meaningfully to customer reviews, complaints and issues that are affecting your business reputation. Our team provides you with online reputation monitoring, analysis, and pro-active search strategies to help you combat negative reviews. With more than 22+ years of online reputation experience, we can help you reactively and proactively take charge of your online listings, social media, and directory reviews. Get Your Free Reputation Report. We help businesses and companies monitor, analyze, and respond to reviews so as to improve your online reputation. Proprietary listing and algorithm improvement techniques. Deep web monitoring and social media review analysis. Proactive counter-attack strategies that put bad reviews beyond reach. 24/7 Full-Time, Vail Networks Reputation Management Team (On-Call). Dedicated Account Manager (depending on the level of signup). REPUTATION MANAGEMENT Services to help business monitor, analyze and respond to customer issues. Want Your Free Online Reputation Report? Click to Learn How Much Your Business Could Be Losing. Every search engine “bad review” can result in the loss of present and future income of anywhere between $50,000 to $1,000,000 per customer. Every social media post that is “negative” can result in the loss of present and future income of anywhere between $30,000 to $750,000 per customer. Every product review on Amazon, eBay, and other marketplaces that is 1-star or 2-stars, can result in the loss of $100,000 to $500,000 on average. For every day that your company doesn’t monitor, analyze, and respond to customer reviews, it increases your chance of other customers finding these reviews. So, don’t wait. Get your free online reputation report, and we’ll begin to monitor, manage and maintain your online reviews and BRING you new business instead of you losing out. Online reputation monitoring by Vail Networks’ response team includes a rapid response network of technology and people to ensure your listings are always getting the best reviews possible. We give you detailed analysis and reports on demand to show you (not tell) how these reviews are affecting your business. Get Your Free Reputation Report Now. full-service reputation monitoring team to come up with real-time strategies for what and how you should respond to negative listings, social media, and online search reviews. Vail Networks team employs a full-time staff, dedicated account managers, and a 24/7 response team to reactively and proactively monitor search engine results as well as social media reviews for your company. We have the capabilities to work with companies of all sizes: small, medium and large. Weekly proactive boosts from current and future customers. Active monitoring of social media accounts: Facebook, Twitter, Instagram, Pinterest, Snapchat, and Internal systems such as Slack, Trello, and Chat Messaging. Online original content to control the flow of reviews and allow you to control the temperature of reviews. Monthly reports that integrate ways to improve and increase your Net Promoter Score (NPS). Additional positive followers on your social media, commenters from the community that will increase your NPS. Real-time responses to negative reviews. 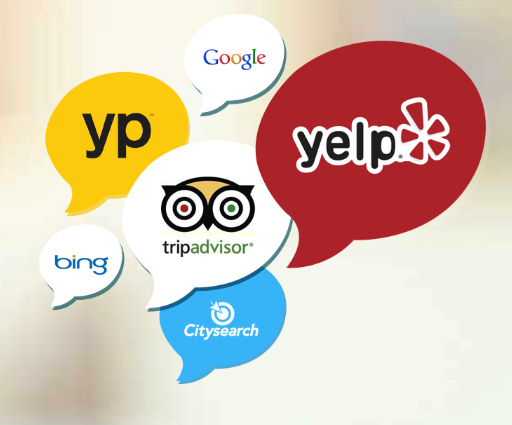 Our company has hundreds of employees who depend on Vail Networks to keep our online reviews in check. “If Vail Networks’ didn’t exist, we would be unable to monitor, manage and maintain our online listings and customer reviews. The online reputation management software they employ is unparalleled. Our online reputation is back to 100%… Vail Networks is a partner aligned with our best interests. We are finally back in control of our online social media brand. “For us, social media is a pain and having to respond to every customer issue - even if we have strong reviews overall - is too much. We needed the help of Vail Networks’ reputation management team to finally respond and be in control of our social media - Facebook, Twitter, Instagram, and even Snapchat. The best online reputation management to monitor, analyze, and respond to customer reviews, complaints, and issues. Don’t wait until it’s too late and negative reviews and online feedback crush your business. With Vail Networks’ online reputation management services, you can get back your online reputation and start getting more leads to fuel your business’ growth. Take control of your online reputation with Vail Networks’ exclusive service to improve your company reviews and increase your loyal fan base. Now is the time to respond to customer reviews with an online reputation management service that can bring you excellent reviews and grow your customer fanbase! You are only 30-seconds away from seeing everything that can be found on the internet about your business. Proceed.